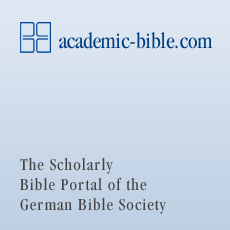 The most widely distributed scholarly Greek-language editions of the New Testament are the Novum Testamentum Graece (Nestle-Aland) and the Greek New Testament. In these editions, the version deemed original appears in the main body of text. The most significant variants from the existing manuscripts are given in an extensive list of notes at the bottom of the respective pages (the critical apparatus). Today, some 5,700 manuscripts are extant that contain the text of the New Testament or part thereof. For the two above-mentioned editions, these are evaluated at the Institute for New Testament Textual Research (INTF) in Münster, Westphalia. Discrepancies between these manuscripts (differing “variants”) are often due to mere oversights that arose in hand copying the texts from a master copy (or as dictated by a reader), but in some cases to deliberate “improvements” by the scribes that were intended to make the transmitted text clearer or more consistent. The individual manuscripts are deciphered. The texts reconstructed by this means are compared and discrepancies (variants) determined. The variants are analyzed. On the basis of numerous scholarly criteria, the degree of interdependence between the variants is investigated and – with a lesser or greater degree of certainty – the original version established. One particular criterion is decisive: Originality is accorded the version which can best explain the origin of all other versions. The findings of this work are integrated into the scholarly editions of the New Testament. By using the critical apparatus in these editions, the reader is in a position to understand the decisions of the editors and to form his or her own opinion. With its extensive, differentiated apparatus, above all the Novum Testamentum Graece by Nestle-Aland enables its readers to reach their own judgments in matters of New Testament textual research. The Greek New Testament, on the other hand, is not intended as an aid to extensive text-critical research, but above all provides the foundation for translations of the New Testament worldwide. It presents to its users a reliable Greek text, and for selected passages elucidates the course of its development.